Two brand new locking air chucks. These solid brass locking air chucks are high quality hose attachments for easily inflating tires. 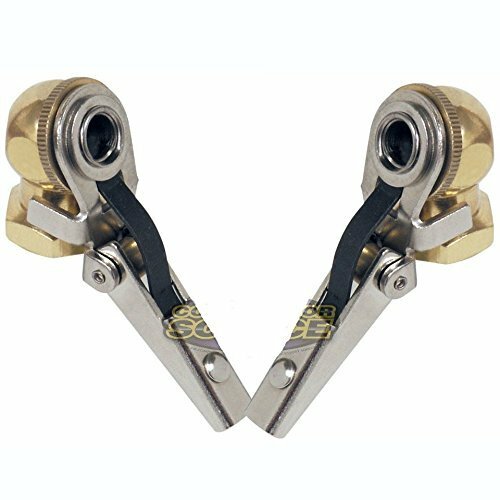 These feature a solid brass construction and they are precision machined for leak proof operation. Each of these air chucks feature a 45 degree angled head with a lever that locks the chuck to your valve stem and allows you to fill air easily. These chucks have a 1/4" NPT air inlet. If you have any questions about this product by Flexible, contact us by completing and submitting the form below. If you are looking for a specif part number, please include it with your message.